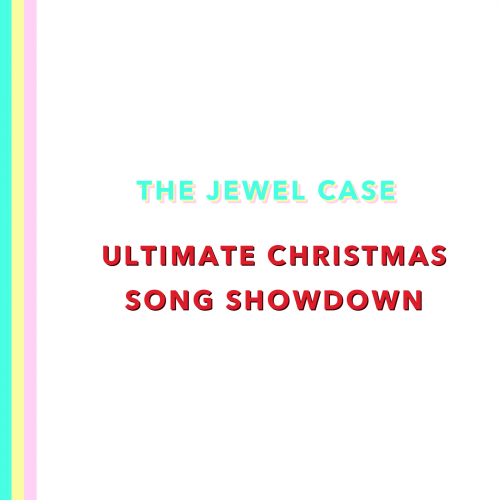 One year on from the first ever episode of The Jewel Case I decided to re-festive-ise my playlist and get some Christmas songs on the stereo. This time last year I picked some of my favourite winter warmers for an intimate seasonal set. But for this year’s yuletide show I thought I’d get some friends in to help me decide the best holiday tune ever in THE ULTIMATE CHRISTMAS SONG SHOWDOWN. So I got together four of my favourite guests from the first year of the podcast – Cheylene Murphy, Ryan McGroarty, Bee Mick See, and Megan-Cáitlín Dallat. The plan: to pit 36 of the best holiday songs head-to-head in the knock-out tournament to end all knockout tournaments. Take a look at the knock-out bracket below to see the first-round match-ups and listen to the episode to find out who wins. Of course, once we got chatting we realised we couldn’t get through the whole bracket in one episode, so Part 2 with the completion of the tournament comes later this week!